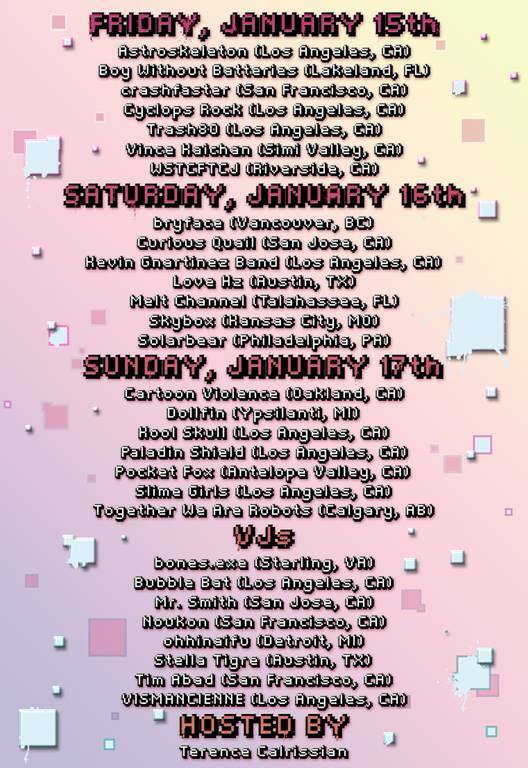 See Cartoon Violence live in LA on day three of Freq.Fest.v.5.0, 8bitLA’s yearly chiptune festival, Jan 15-17 2016. We are the first band Sunday night. $10. Doors at 7pm. 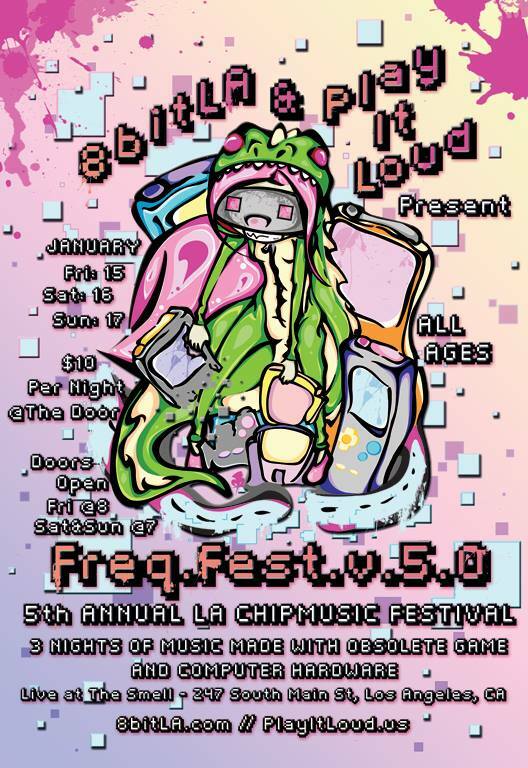 Cartoon Violence will be at 8bitLA’s yearly chiptune festival, Freq.Fest.v.5.0 in LA on January 17th. Festival starts on Jan. 15.